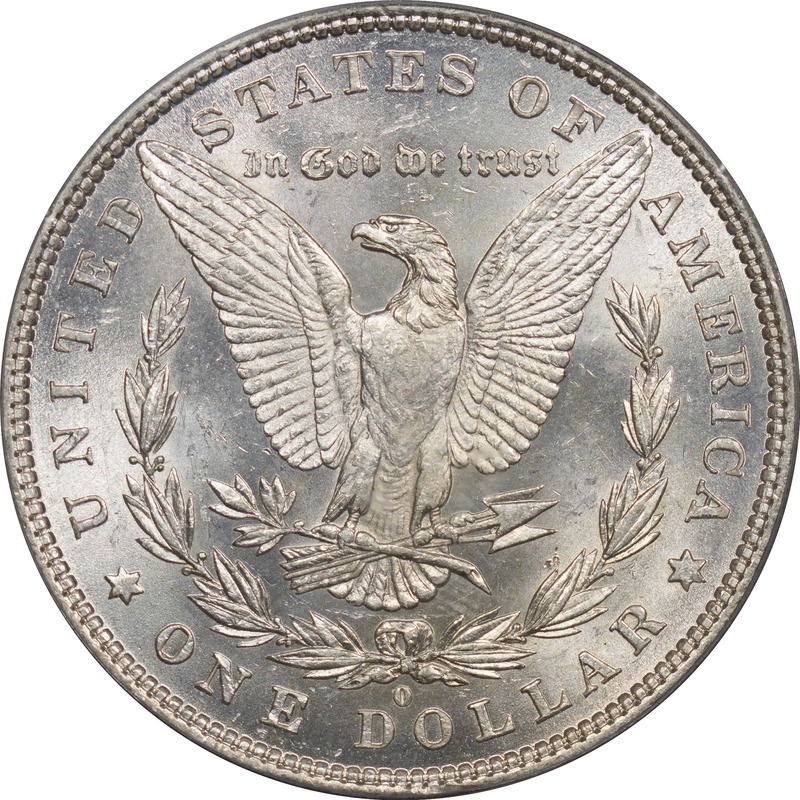 VAM 20 - Doubled 18 is a pairing of Obverse Die 12 with Reverse Die a. Reverse Die a is used in many VAM pairings. As of June 2017 we have five examples of VAM 20 for examination. These range from AU 50 to MS 62. 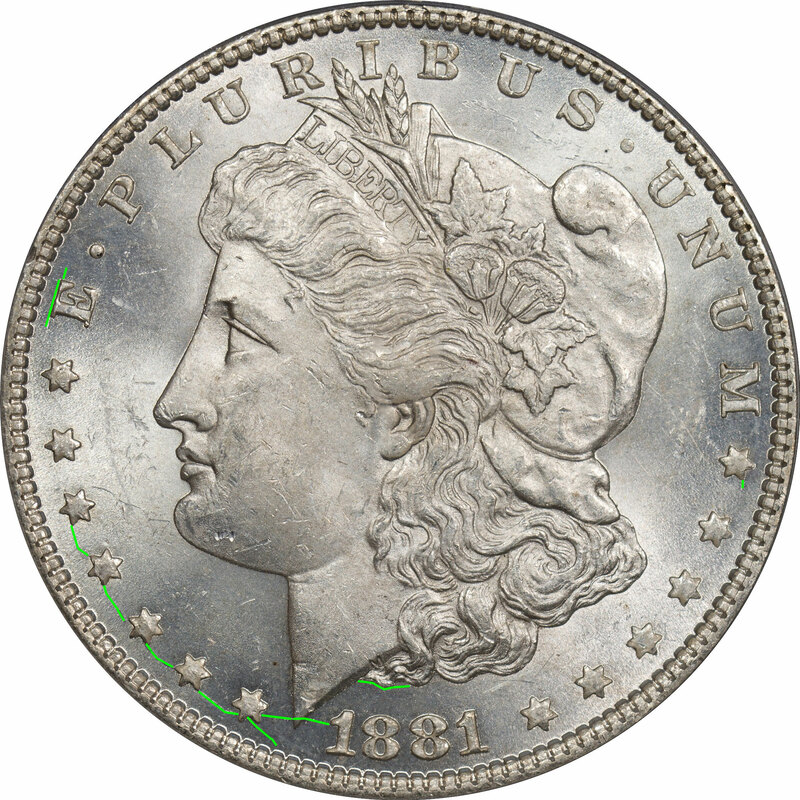 In the most extreme example the obverse die shows several areas with die cracks, but also a minor die break from the second left star to the first 1 in the date. We also have examples of this die state pairing in grades AU 55 and AU 50. From an earlier die state coin we can determine that the cracks began to form on the upper left stars to the E.
On the reverse there are die cracks just beginning to show, but we were only able to find them because we have a toned example and the cracks show in more contrast. The cracks are visible with magnification on coin 19925080 but they are very faint.